Journalists! Are you ever going to investigate what REALLY happened to Seth Rich? Seth Rich, Investigate his murder NOW! Journalism is about finding the truth and reporting facts, even if it is a hard case, because solving it will help bring justice and reveal truth about people behind the situation. It will also hold people accountable no matter who they are because no one is above the law. So ask yourself this. Why are liberals, and especially the liberal media, asking to stop reporting the Seth Rich case? Seth Rich, an American, was an employee of the Democratic National Committee (DNC). He was recently believed to be the one who gave Wikileaks information on Hillary Clinton which she has blamed for her losing the 2016 Presidential election. While he was giving Wikileaks information, he was murdered. There was no evidence left at the scene of the crime and there were no suspects. What I find a tragedy is these liberal, biased journalists going on an imaginary witch hunt to find a President Trump and Putin connection. The DNC continues to claim that it was President Trump and Russia that cost Hillary Clinton the election. Even no evidence of any collusion, they continue to ride out this story hoping and grasping at straws. And they still come up empty. Me personally, I am waiting for the “straw” that will “break the camel’s back” as the saying goes. This is the hypocrisy of the left. They tell conservative media to stop what they are doing, but they can make up stories because they don’t like the President. Liberal journalists have forgotten why they became journalists in the first place. They have lost all bearing, professionalism, and definitely credibility. It is down right disgusting that they have this much hate toward President Trump simply because he doesn’t fit their narrative. And now they are willing to lie to the public in an attempt to silence their opposition. Is there a chance for journalistic redemption? Yes, I believe so. 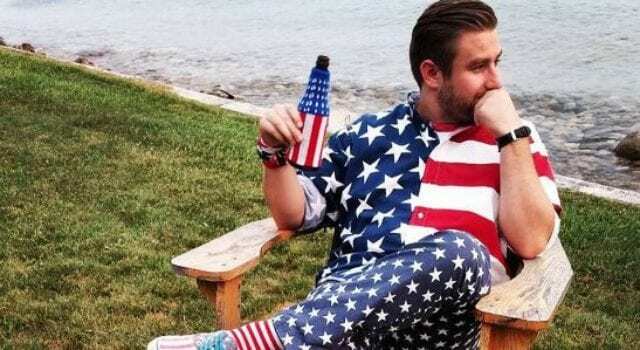 I call on all journalists, no matter who they are, CNN, MSNBC, et al., to put their differences aside and work with with FOX and OAN to figure out what happened to Seth Rich. If that happens, your credibility could be restored and journalism reborn in the United States of America once again. In the mean time, you can all help by signing the petition to request a Special Prosecutor to investigate his murder. Previous articleTerrorist gets special place of honor in NYC!